The Edinburgh Leith & Newhaven Railway opened on 31 August 1842 between the New Town and nearby Trinity Crescent. From 1850 to 1890 this was part of the main East Coast railway line to Perth, Dundee and Aberdeen. Most of the passengers who died in the famous Tay Bridge disaster in December 1879 had traveled by this route a few hours previously. The opening of the Forth Bridge in 1890 resulted in the main line trains to the north ceasing to use the route. 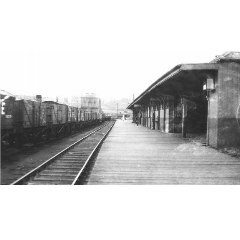 The Granton branch was then used only for local passenger trains and goods traffic. 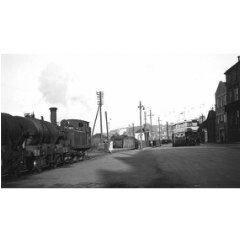 The passenger trains stopped in 1925, a few years after the tramway systems were introduced. The goods trains ran until 1986. 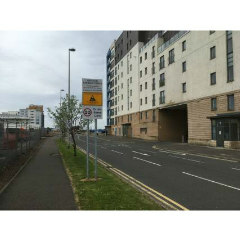 The line was lifted and the embankment beside Lower Granton Road removed in 1991-1992. Part of the route, from Trinity to Canonmills, is now a walkway.